I think I have figured out that lice can live on the fungus that sometimes develops on skin flakes. Please prove me wrong if you know better. This would explain why Selsun Blue works, it kills yeast/fungus on your scalp; why vinegar works, it is anti-yeast/fungus; and why things like tea tree oil and alcohol work, they will all kill fungus. 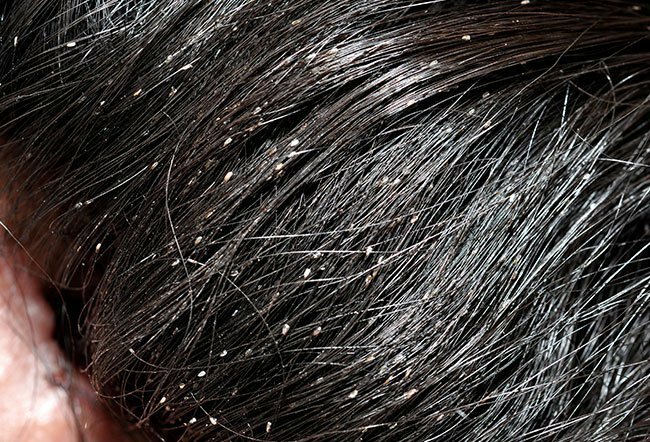 And if lice can live off of the yeast on skin flakes, that would explain the problems people have with finding lice on clothes bagged for two months, on couches covered for two months, and on other surfaces where skin flakes are likely to be found even though those surfaces have been avoided perhaps. My experience is that they are living without blood! To that end, I would think anything that will kill fungus and yeast, including avoiding sugar in your diet and drinking vinegar would help the situation. We had the displeasure of a lice infestation on three separate occasions over a 15-month timeframe. The best treatment was a home remedy of Sea Breeze facial astringent, tea tree oil and conditioner. We coated this thickly throughout and covering the girls' hair; left treatment on for 30 minutes, then rinsed out. Repeated treatment every 4 days for two weeks and the kids were lice free!